If a card is shown in a reading that you don’t like the look of, do not choose another one. There is a reason it has appeared in a reading. Some people tend to avoid cards such as “The Tower”, “The Devil” and “Death” because they believe the absolute worst thing will happen if they were to draw it out of a deck. Putting cards back in a deck or changing them from reversed to upright will affect the authenticity of the reading and you won’t get an accurate reading. If you get a tarot card, and it’s not the best one you can get in your opinion, please don’t jump to conclusions. Saying to a friend that “The Death” card indeed means death isn’t the right way to go. The Death card is one of the most misinterpreted tarot cards going. It actually means an end of a chapter and a start of a new one. Make sure you research the cards and their symbols before you starting worrying yourself or someone else. Some spreads such as the weekly ones are OK because they are meant to be read on a regular basis. However if you keep trying an in-depth spread because you were unhappy with your past result, you will just end up conflicted with other information. If you do it too often, you will find it difficult to find guidance in your life from the information you receive. If you want a straight forward answer to a burning question, picking one random card will work best because it will give you an answer. If you have a question such as, “should I accept a new job offer?” but you then pick out nine cards, it’s really going to confuse you. When you can, stick to a basic spread and go from there. There are times where we fail to see logic and we just get way too emotional about things going on in our lives. If you’ve had a rubbish day and you are on the brink of a breakdown, a tarot reading is not the way to go. Have a cup of tea, read a book or have a hot bath because if you choose to do a tarot reading instead and you don’t get an outcome that cheers you up, it’ll feel awful. It’s best to have a reading when you’re open to other possibilities so that you can listen properly to what they are saying without overreacting. Some cards aren’t sugar, spice and everything nice, but it doesn’t make it unimportant. You still must acknowledge the negative cards in a reading because they could give you great guidance of how to overcome any problems you might face in the future. Believing your life is going to be nothing but happy is fibbing to yourself. We all have difficult times, but the trick is how we learn from them and become stronger as individuals. If a card explains a problem, listen to the clues so you can prepare. Have you been making any of these mistakes so far? 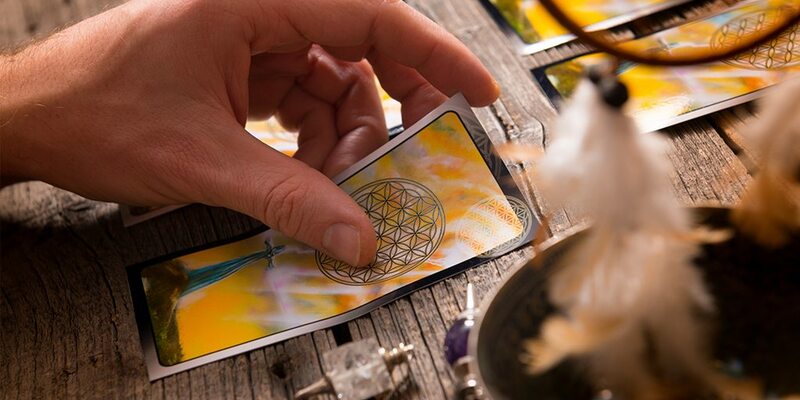 Get a Tarot reading with one of our skilled psychics so you can get an in-depth reading that will provide the right guidance, regardless of the cards you receive. Quiz: What type of psychic intuition do you have?